Centennial Dental Center welcomes families from Boise and surrounding areas. Our Family Dentistry services are designed to provide everyone in your family the dental care they need for a healthy smile. A family dentist is a general dentist who has established an office where patients of all ages can obtain the care they need. The fact that a family dentist offers cleaning and preventive services, cosmetic treatments, periodontal care, and tooth replacement makes choosing a family dental practice an easy one for the patient seeking convenient, personal care for their entire family. 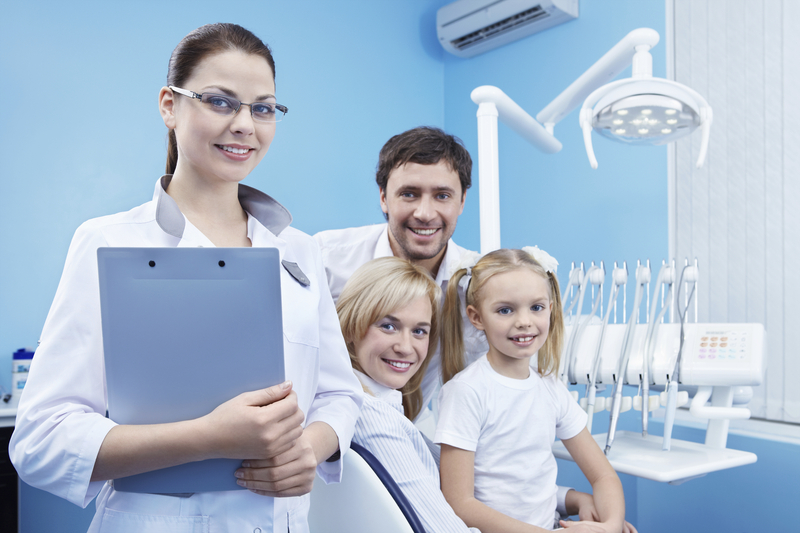 What does Family dentistry entail? In the family dental office, patients find the care they need to prevent and treat common dental conditions. Routine hygiene visits involve checkups and cleanings that are tailored to the individual. If gum disease is an existing concern, routine visits may occur more frequently, and hygiene services more comprehensive. Family dentistry prioritizes personal care for patients of all ages. This is a requirement in order to provide the high level of care every person deserves. We understand how to calm the fears that are natural to the young and the “older” alike. Our friendly staff shows concern for comfort and peace of mind, as well as familiarity with the various dental services that a patient may need as oral health changes from time to time. Why should I pick a family dentist? Dental care can be somewhat challenging for any person, especially the person who has had an unpleasant experience with a dentist or dental office. One of the primary reasons to choose a family dentist is because it gives every one of your family members the opportunity to build a lifelong relationship with familiar faces. This means trust in the level of care and personal attention each person will receive. Family dental offices are also convenient because children, teens, and adults can obtain the treatments they need in one location. What Should I look for in a family dentist? Choosing a family dentist is a personal decision not to be taken lightly. Some patients value convenience above other attributes, such as cost. Some patients want to know that, when they visit their dental office, they will see the same dentist every time. When choosing the office that is right for your family, consider the attributes that matter most to you. You may ask about experience, training, the number of cases that have been conducted (cosmetic, restorative, or otherwise), and any special interests a dentist has. We welcome your call and are happy to meet you personally to help you determine if our office is a good fit for your family! How Often should I see a family dentist? Generally, we like to schedule exams and cleanings on a six-month recall schedule. This timing is the norm when there are no ongoing dental conditions to monitor, such as periodontal disease. When you visit Centennial Dental Center, we will discuss the routine care protocol that will best serve your needs. Of course, it is beneficial to visit your dentist anytime you experience something out of the ordinary, such as a toothache or an injury to a tooth. Cosmetic concerns, as well, may be addressed at any time, not only during your routine appointments. If you want to learn how to brighten your smile, straighten teeth, or fix a chip or crack, we encourage you to give us a call for an evaluation and consultation. Many of the cosmetic concerns that our patients have can be corrected in a straightforward and affordable manner. Dr. Wright has been focusing on patients’ needs for over 20 years. He has continued his dental training, graduating from the Dawson Center Continuum, as well as other programs. Looking for a family dentist in Meridian, Boise, Eagle, and surrounding areas? Contact our office to schedule an appointment.